For nearly 30 years, Steven King has been helping individuals and business owners develop customized investment strategies designed to address their financial objectives. Steven strives to put the needs of the client first. He values relationships and maintains open lines of communication with all of his clients helping them make sound financial decisions towards their financial success. Steven's wealth management is fee based, not driven by commissions, as the real value in wealth management comes from sustained service. As an independent Wealth Manager, Steven offers access to a wide variety of investment options and not simply the products of one company. Steven is a Registered Principal of LPL Financial and is a Wealth Manager doing business as, CARDIFF REEF WEALTH MANAGEMENT, INC. in Cardiff-by-the-Sea, California. As a Southern California native, Steven in 1990 began his career on Wall Street training in New York's World Trade Center with Dean Witter Reynolds. For the next 14 years, Steven managed his client's assets in La Jolla, California with Dean Witter Reynolds, Prudential & Wachovia Securities. 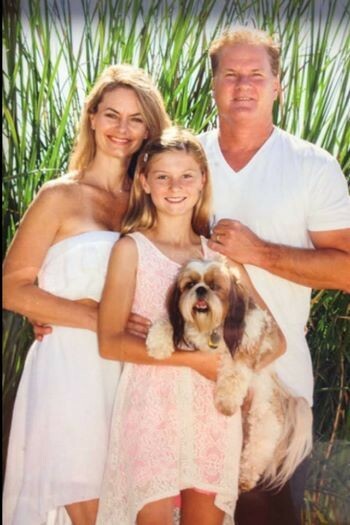 Steven and his wife April live in Cardiff-by-the-Sea with their daughter Amara and her dog Jed. Steven offers access to fee-based asset management and advisory services through LPL Financial.